With the internet seeing new online shopping places every day, it’s becoming more and more important for businesses and companies to present themselves on the internet for better reputation and brand awareness. Unlike past few years, these days’ people not only prefer shopping online but they also tend to check which company has a better reputation on the internet so they can conduct their business with them. Online marketing has never been so important for the growth of a business and when it comes to online marketing, there are hundreds of specialized techniques and tools but nothing beats SEO. SEO stands for search engine optimization and it’s a set of techniques that help your website or online business gain more trust, better reputation and higher number organic clients for increased sales. When you have an offline business store as well as an online shopping place on the internet, you can understand how important it is to get the customers to drop by in your office so you can communicate with them and let them realize why they should do business with you. Personal interactions always work best when talking about an increase in sales and customer loyalty. Various researches show that people often tend to go online to find relevant stores and shops in their neighborhood before they step out for shopping. With search engine optimization, these customers see your business name at the top of the list that makes them put trust in your brand name. 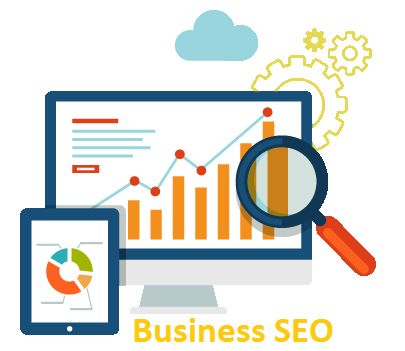 Importance of SEO for business has never been so sure in the past few years because now search engines have better and more advanced algorithms. With the help of these programs, search engines evaluate websites in a more thorough manner which means only the genuine and high-quality content qualifies to the top of the list. As the owner of a well-established business, you might have no problem in investing more money into marketing campaigns but let’s go back in time and think how you acted when you started your business. You were very careful with spending money and you always tried to find a way to save money and get better results. This is the key foundation of search engine optimization because this marketing technique helps build reputation and clientele regardless of how much you can invest. At any point, you can either increase or decrease the investment. Another huge benefit of SEO is the higher and sure return on investment. Unlike other marketing techniques i.e. pay per click, the traffic generated with SEO is 100% organic and 9 out of 10 times, it results in the actual sale of your products and services. Have you ever wondered how people decide which option is the best for them? When we talk about online business and behavior of internet users, the most common habit is to choose whatever reaches the top of the search list. You can understand that when you search a keyword in a search engine and see the generated list, you prefer to click on the first 2-3 links because they seem more trustworthy. This is the same thing that professionals do with search engine optimization. The key role of SEO in business growth is to bring your website or online business to the top of the list. Once your business reaches one of the top 5 positions on the search list, it all becomes way easier from that point onwards. Along with driving more organic traffic to your online business and increasing revenue, SEO also works best for polishing your brand name on the internet and making your company appear trustworthy and well reputed. If you want to work with search engine optimization to grow your business, it’s almost certain that you have also heard of pay per click or PPC advertising campaigns. When it comes to the online marketing of a business or website, there are hundreds of options for you but mostly, people prefer SEO and PPC. PPC might attract you because it’s very cost effective, you can invest as much you want and the results are very quick but what you don’t understand is that there is no long-term marketing strategy other than SEO. Search engine optimization is something that starts with zero and it builds the trust of clients and customers to grow to a point where you simply don’t need any marketing campaign anymore. This is the beauty and importance of SEO for business that once you invest a good amount of money and time into this campaign, soon you won’t need to worry about putting more money into it but the previous work and efforts will produce good growth for many years in future.